Pastoral production relies on a high level of organisational efficiency and planning, to optimise the productive output from each hour invested in managing the business. It also requires an ability to think both strategically and tactically, as well as the ability to respond in both strategic and tactical ways. This procedure introduces the principles and processes of compiling an inventory of your property’s attributes, which will allow you to strategically analyse these attributes, and determine the strong and weak points which may impact upon your business. It also allows you to undertake a more formal process of documenting the inventory, which you can use in the more tactical areas of business planning. This inventory may assist newer/younger business partners or employees in understanding the property’s attributes. Hint: Before you embark on the process, take some time to think about the difference between strategic and tactical decisions, and the way you might approach each. Strategic is the long term stuff, future plans and goals, and tactical is the here and now, in response to what’s happening on the ground now, such as weather, markets, etc. At its most basic level, the aims of your business will include utilising your natural and man-made resources, livestock, labour skills, and management, and turning these into profit. How you put this combination together to do this is critical. Taking note of the property’s natural features, and infrastructure is one part of developing a vision for the property. This process should include discussion and assessment of all aspects of the property and will contribute to the process of developing action plans for the improvement of infrastructure, land condition and other land management aspects. A property inventory is a stock take of what’s there for you to make use of, to undertake your business. Importantly, this process will allow you to identify any critical items which are not there, which will enhance your business activities and lead to higher production. This inventory should ideally be updated on an annual basis. This can assist with creating development plans for the property. Consider both natural features and assets, as well as man-made assets and features, such as plant and equipment. You can also include livestock in this inventory, however it is recommended to undertake a livestock management plan as a separate exercise. Use tool 12.1: Prepare a property inventory to draw up a comprehensive list of features of your property. An important step in the process of creating a dynamic plan of action for your property and its natural resources is the development of a property plan. Ideally, such a plan is created with the input of all members of the business, and employees. A property plan is most accurate when developed utilising satellite or aerial imagery. These images can be purchased from government departments that specialise in map products; they may be Google Earth® images; or photos taken from an aircraft. These images can be enlarged and laminated, or overlaid with sheets of plastic. Software packages are also available, and these utilise a digitised aerial photo. These tools enable you to insert details of different attributes of the property as identified in the property inventory. Include things like land classes, rivers and drainage lines, water points, plantations, remnant vegetation and pasture types as well as overlays for staged planned improvements to infrastructure and land use. 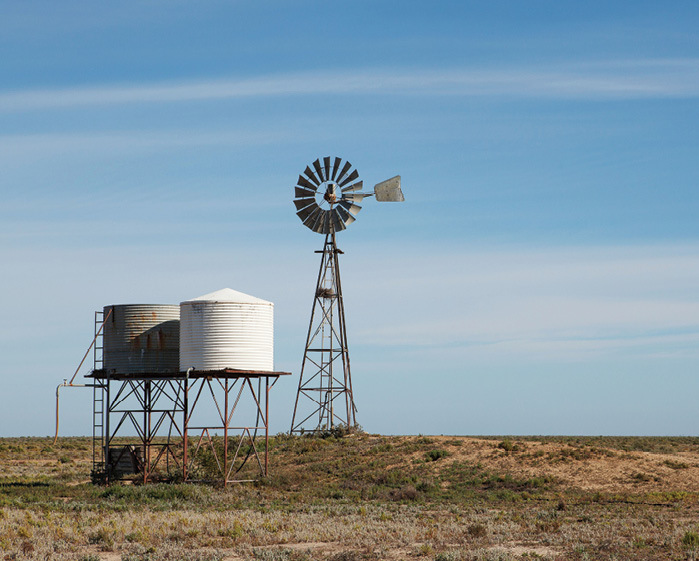 Contact your local or state based natural resource management (NRM) organisation for details on local programs, and opportunities to undertake planning processes appropriate to your region. Tool 12.2Prepare a property plan provides information on getting started in the process of developing a property management plan. This publication describes, in broad terms, those arid and semi-arid areas of New South Wales commonly referred to as rangelands and the management principles that underlie the sustainable utilisation of these areas by extensive grazing industries. Grazing land management – sustainable and productive natural resource management. (May 2006)Meat & Livestock Australia Meat & Livestock Australia ISBN 1 74036 9343. Download here. AgGuide – Property planning. 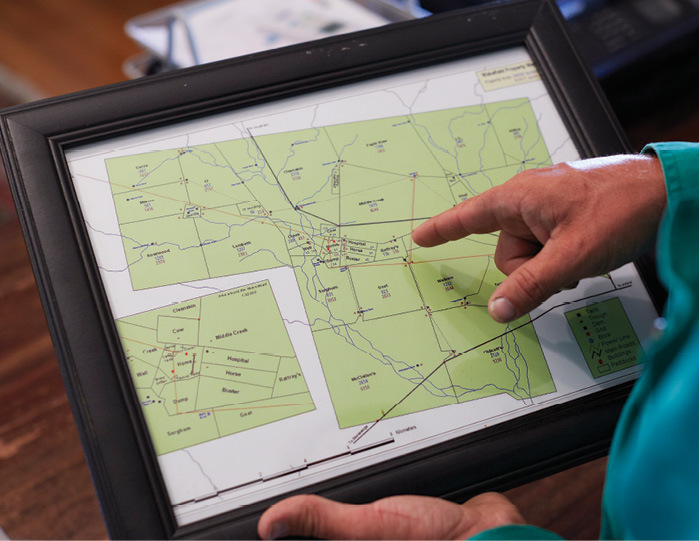 Learn how to plan your farm layout so you can manage soil types and land capabilities to achieve sustainable production. Plan nature conservation measures to improve biodiversity and farm viability. Property planning takes a simple, step‑by-step approach. Look up different sources of maps which will be useful for your planning processes. Look up on the internet Property Management Planning, or Property Planning, to find locally relevant resources and service providers to your business and area. Your local NRM organisation at www.nrm.gov.au/regional/regional-nrm-organisations, about what products, incentives and services exist in your local area to assist with planning processes. Local agribusiness consultants about how they may guide you through the process of a whole farm plan. Farm water comes from a number of different sources. These may be natural sources such as rivers, creeks and channels, or they may be constructed in the form of dams, ground tanks, wells or bores. Whatever the sources, the suitability of water you have now and the water you need for the future depends on its quantity, quality and reliability. In the process of knowing your property, and developing a fully operational property plan, it is important to define and understand the water resources on the property in terms of both quality and quantity. Water quality can vary considerably across properties and can have a significant effect on many elements of pastoral sheep production, including wool, reproductive performance and meat production. Your water audit is an important element of your property plan. Risk assessment – consider the likelihood and consequence of various risks such as equipment failure, or blue green algal bloom. Use tool 12.3 to undertake a water audit on your property. This book is for anyone who wants the best from their water supplies in a rural area. It gives an introduction to the technical problems involved in domestic and livestock water supplies, but is written for the non-engineer.